Would you believe that the most viewed post that I've had on this blog since I started back in April is one about Faux Taxidermy? It really makes me laugh a bit, as I consider how many people are running Google searches on the topic every single day. 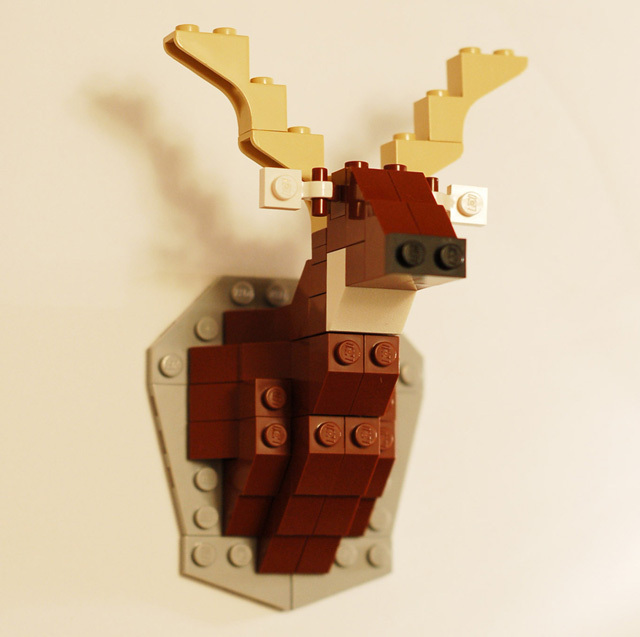 That's right, it's a Taxidermy Deer Lego Kit! It can be purchased from David Cole, and wouldn't it just make the most perfect stocking stuffer!? Admittedly, if one of these showed up for me on Christmas morning, even though I'm still not digging the faux taxidermy trend, I'd still be inclined to mount this on my living room wall!